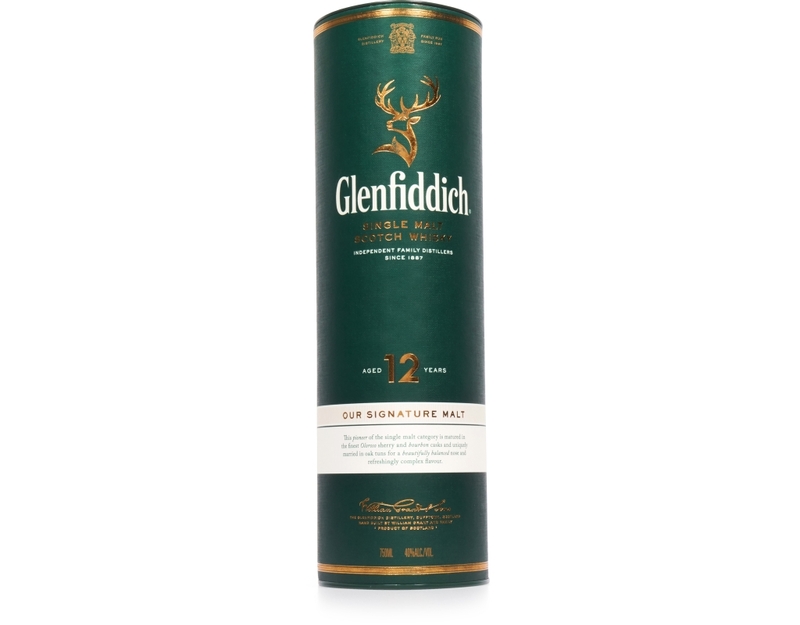 Flowing in the Valley of the Deer since 1887, the Grant family’s signature expression is the world’s most awarded single malt Scotch whisky. 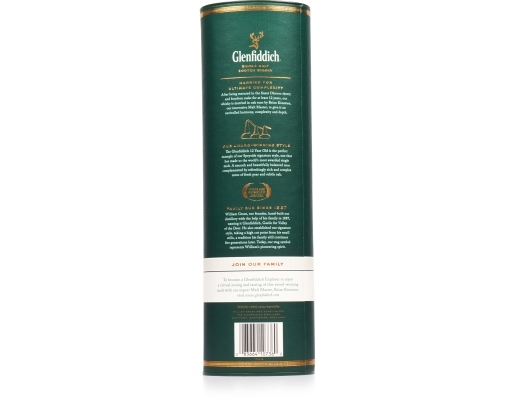 From one of the last family distilleries and with a unique freshness from the same Highland spring water since 1887, its distinctive fruitiness comes from the high cut point William Grant always insisted upon. Carefully matured in the finest American oak and European oak sherry casks, it is mellowed in oak marrying tuns to create its sweet and subtle oak flavours. After being matured for at least 12 years, Glenfiddich’s signature single malt whisky has a smooth and beautifully balanced nose complemented by refreshingly rich and complex flavors of fresh pear and subtle oak. 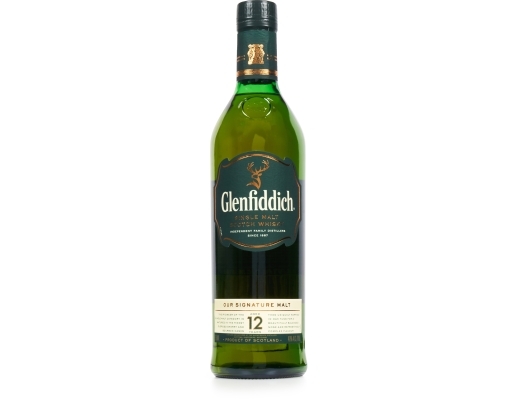 Creamy with a long, smooth and mellow finish, this 12 Year Old is the perfect example of Glenfiddich’s unique Speyside style and is widely proclaimed the best dram in the valley. 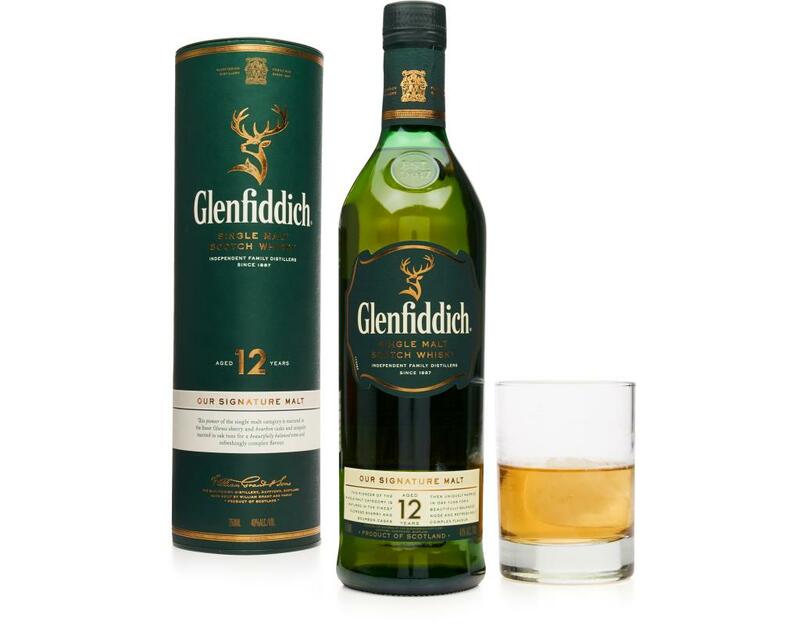 Skillfully crafted, enjoy responsibly.